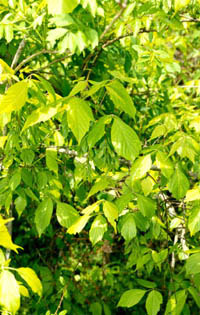 Box elder differs from all other maple species in having compound leaves with three, five, seven or sometimes nine leaflets. 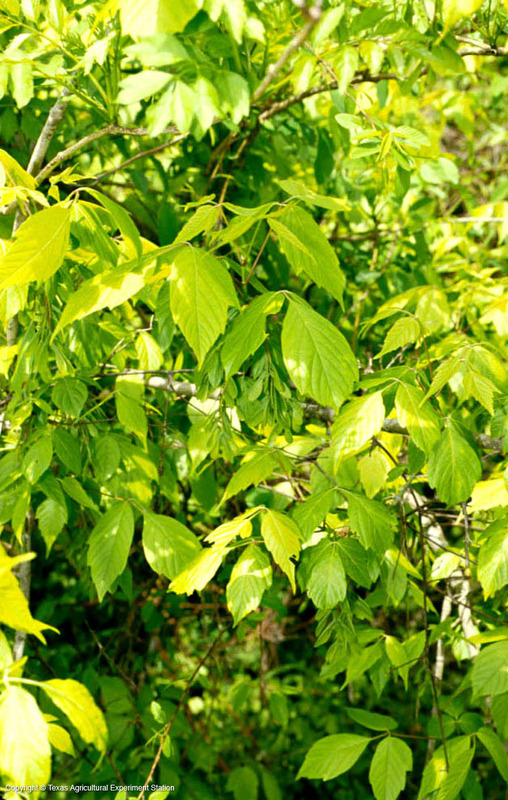 The young trees and twigs on older trees are a bright olive-green. Box elders are widely distributed from the Eastern seaboard onto the Great Plains. In Texas the tree occurs from the eastern borders of the state to west of Dallas-Fort Worth and San Antonio in floodplain swamps and along waterways. Box elder is intolerant of drought and should not be planted in the southern Great Plains. It is also susceptible to heart rot and many insects, expecially box-elder bugs.